A bill setting a 50-metre protester-free zone around the province’s two stand-alone abortion clinics passed Wednesday afternoon in the Alberta legislature. 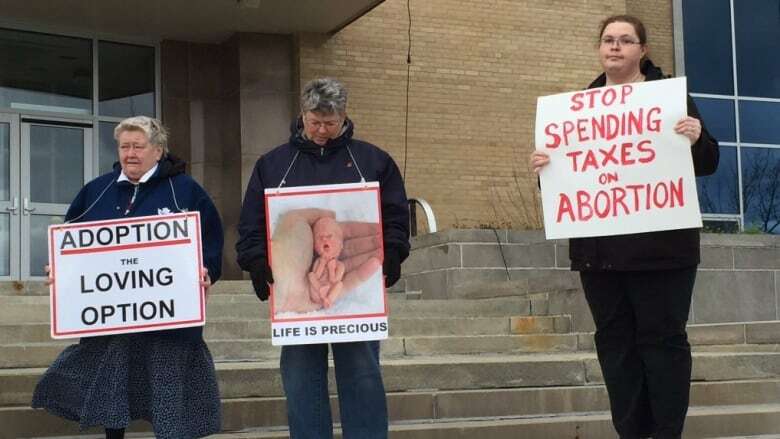 A bill setting a 50-metre protester-free zone around the province's two stand-alone abortion clinics passed Wednesday in the Alberta legislature. The bill passed 45-1 without participation of members from the Official Opposition United Conservative Party. Independent MLA Derek Fildebrandt was the only vote against. He said women should be protected from harassment at abortion clinics but he felt the bill went too far in targeting one particular group. UCP MLAs left the chamber for every vote on the bill as it passed through the various stages of debate. UCP Leader Jason Kenney has called the bill an attempt by the governing NDP to distract from its economic record. The new law protects patients and staff at the Kensington Clinic in Calgary and Women's Health Options clinic in Edmonton from harassment. Kenney has said the bill wasn't required since the clinics already have injunctions against protesters. He said staff should go back to court to extend the injunctions if they need a bigger zone. Health Minister Sarah Hoffman said people who work in the clinics have said the injunctions don't work, so going back to court isn't going to help. "I just think that's disrespectful of all of the hard work, all of the history around this issue and the folks who work in this clinic and as well as patients who access it," she said. Marie Gordon, one of the founders of Women's Health Options, called the UCP's decision to abstain from the vote "beyond cowardly." "It's really shameful," she said. "You can have different views on abortions but I don't know how you can have different views on wanting to protect people doing their job or protecting vulnerable individuals wishing to access health care services." As for Kenney's contention that clinics should go to court to extend their injunctions, Gordon says that wrongly places the onus on the people who are seeking protection. The Protecting Choice for Women Accessing Health Care Act carries stiff penalties for protesters who violate the safe zones around Women's Health Options and the Kensington Clinic in Calgary. The penalty for a first offence is $5,000 or a maximum jail term of six months. A repeat offence carries a maximum fine of $10,000 and/or one year in jail. The fines for corporations caught violating the act is $25,000 for a first offence, and a maximum $100,000 fine for subsequent convictions. Protesters would also be prohibited from taking video or photographs or making audio recordings of patients, doctors and staff entering or exiting the clinic. The clinics could also ask for the zones to be extended to 150 metres, if required. Doctors and other service providers could also apply for a zone of up to 20 metres around their offices and 160 metres around their homes. Seventy-five per cent of surgical abortions in Alberta are performed at the two clinics. The rest are performed inside hospitals.